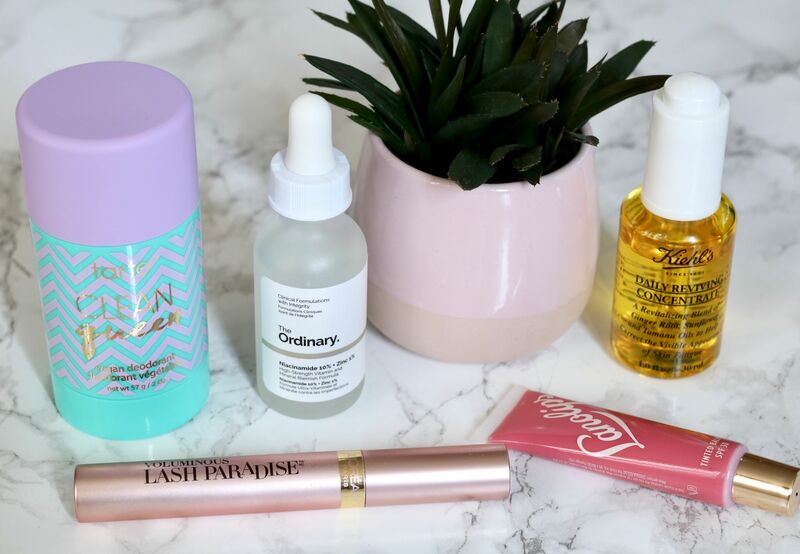 I’ve been wanting to improve and add to my content for a while and after discovering ‘to try’ posts I thought I’d share some of the products I’ve been trying for a couple of months or two to give you my reviews and some more recommendations. So here are my 5 to try. Deodorant, something that’s not much talked about because… well, I have no idea really. I guess we get a little reserved when talking about hygiene, armpits and b.o. This isn’t the case in this post haha. I love my La Vanilla deodorant, but sadly couldn’t find any in the Sephora’s that were near me when I was in Orlando Florida (check out my travel posts from this trip here) so I went with a recommendation from instead – the Tarte Clean Queen which is also aluminium free and vegan. This one is a lot creamier compared to my previous one, but it’s not heavy or too greasy. However you can over apply it very easily – I only do 2 swipes per armpit (which you clearly needed to know haha). For an every day deodorant it’s great, but it’s not a one to help when you get too sweaty. Although it has held up quite well when I’ve worn it to the gym, probably because I don’t do too much cardio. Is it the best deodorant I’ve tried? No, but it does the job for an every day basis. Plus deodorant is very subjective – it works differently from person to person. So if you’re looking to for a new natural vegan deodorant I’d recommend giving this one a try. 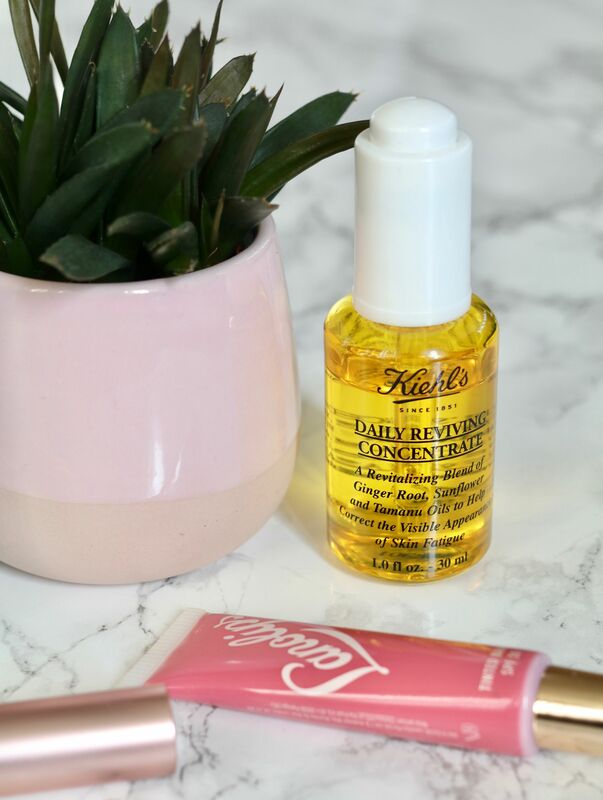 I’ve been using this Kiehl’s Daily Reviving Concentrate oil every morning for a few months now and I’m extremely impressed by it. I was wary about trying an oil due to having oily skin, but it’s true what they say: oils can really help oily skin. At first I wasn’t sure what to expect but after a couple weeks I realised that my once dull oily skin looked more radiant and less oily due to the oil rebalancing my skin. The Daily Reviving Concentrate is very light weight and sinks into the skin quite quickly leaving no greasy residue, which is a plus for me when I want to do my skincare in 5 minutes. This oil is non-comedogenic (doesn’t clog pores) and non-acnegenic (less likely to cause acne or make it worse), which is something I look for when on the hunt for new skincare as I have annoying blemish prone skin. Thankfully it has lived up to both these claims and I have not broken out – can I get a hallelujah! Would I recommend? Yes, and I think most skin types would benefit from it. I’m thinking of trying their Midnight Recovery Concentrate as well, have you tried this? If so let me know what you thought of it. I picked this lip balm up after watching a video by Lydia Millen where she raved about it, so naturally I had to try it. I’m pretty picky when it comes to lip balms as i find most of them are either too greasy, sticky or just don’t work, but I had high hopes for this one. The main reason I was so drawn to this balm was because Lydia mentioned it had a nice sheer (but there) tint, it had spf 30, and it’s hardly noticeable on the lips of the wearer (unless you apply lots of it of course). So, how did I find it after using it? I’ve only used it a handful of times, but I’m really impressed so far, It’s light without a sticky feeling, and still feels hydrating after the initial application. The tint is perfect for my lips as it gives them a ‘my lips but better’ look – much like the Glossier Generation G lipstick in Like, without being matte. Would I recommend? Yes, it does what it says and is a great staple for your hand bag or your travel bag. I actually bought this mascara when I was in America at the end of last year and only just started using it a month ago. Of course I bought it due to the hype and before you even ask — yes it does live up to it. It does everything I want from a mascara: it makes my lashes look long and voluminous – almost like I have false lashes on, but much more natural looking, which is something I prefer. Although you could probably apply more coats to give yourself a thicker lash look if you preferred. There’s also no transfer to my eye lid and I haven’t experienced it crumble or give me panda eyes. Would I recommend? Yes yes yes and yes! There’s now a waterproof version out if you’re interested (here). The final product in my 5 to try is one by The Ordinary, a company I’ve heard so much about and you probably have as well. But I’ll admit I was a bit apprehensive by the cost being so low. It’s funny isn’t it, how when something is expensive we automatically think it’ll do wonders and if it’s cheap we become suspicious. However from reading reviews about all their products they have a pretty good rep. I decided to try their Niacinamide 10% and Zinc 1% serum as it’s specifically designed for oily and blemish prone skin. The mix of ingredients helps to minimise pores, battle blemishes and reduce blemish causing bacteria. Sounds right up my street! Sadly I only used this product for a couple of weeks when I had to stop as a foundation broke me out – I know it wasn’t this serum as I had already been using it for a week before the break out. I went to my doctor because it wasn’t getting any better, and have since been prescribed a special cream to clear it up. So a review of this product at the same time as using this cream wouldn’t be correct. However, from what I noticed in the initial couple of weeks was that my pores did look noticeably smaller and my older blemishes appeared to be less red. Would I recommend? Hard to say at this point, but I will be re-trying it after my prescription ends, so stay tuned. Did you like this style of blog post? Should I do another 5 products to try? I need to try the Kiehl’s Daily Reviving Concentrate oil, I’ve been tempted by the midnight recovery too. Lash Paradise is one of my favourite mascaras – it’s so good. Lydia Millen has tempted me to try Lanolips too, it sounds great and she always has good recommendations.